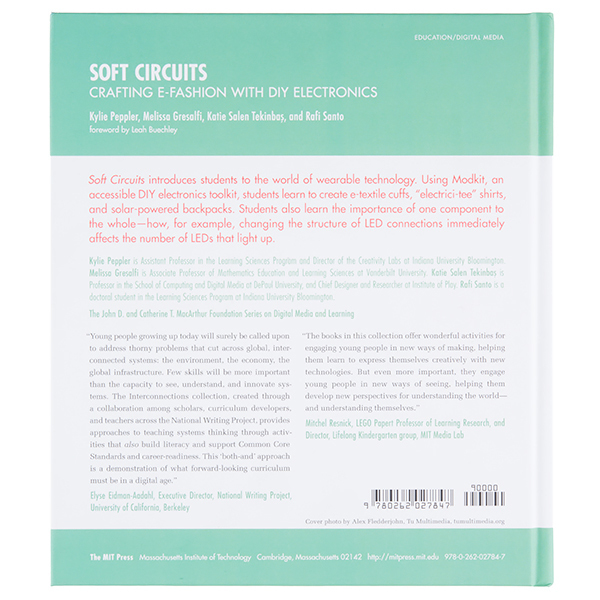 Soft Circuits introduces students to the world of wearable technology. 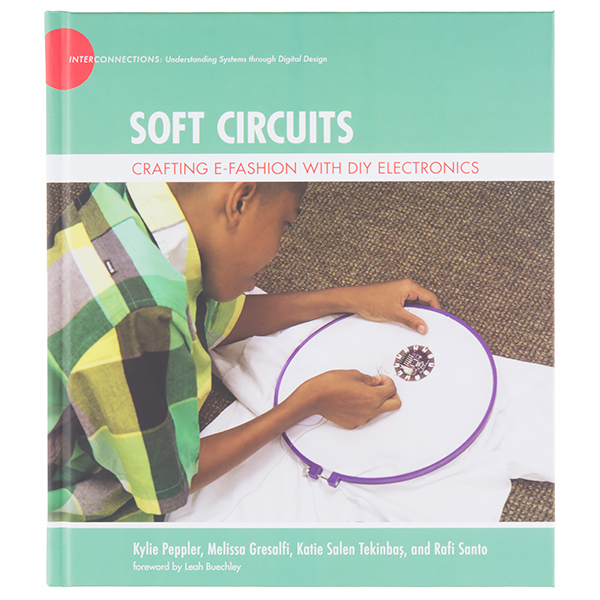 Using Modkit, an accessible DIY electronics toolkit, students learn to create e-textile cuffs, "electrici-tee" shirts, and solar-powered backpacks. Students also learn the importance of one component to the whole -- how, for example, changing the structure of LED connections immediately affects the number of LEDs that light up. 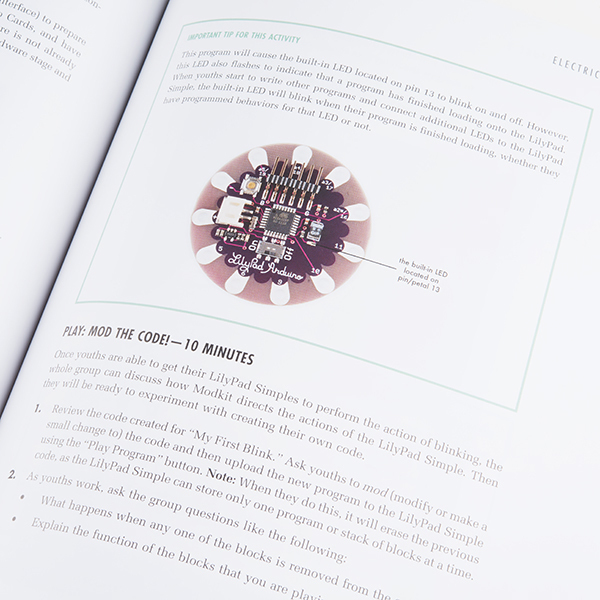 This book provides great activities to help people make new and exciting e-textile and wearables projects while still being able to build a strong understanding of electronics basics.